UNLV coach Bobby Hauck told Tina Kunzer-Murphy on Friday that he is resigning his position after coaching the team in Saturday’s season-ending game against UNR, at Sam Boyd Stadium. 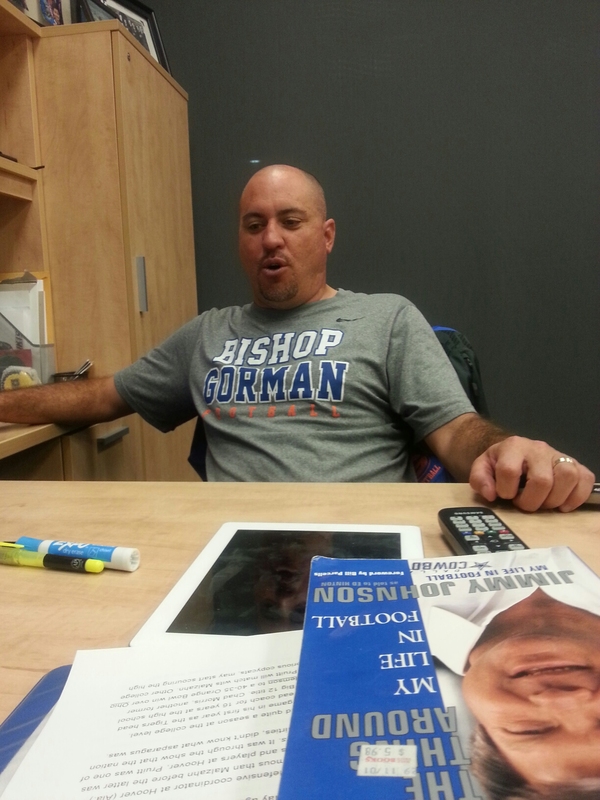 And hours after the press release surfaced and Kunzer-Murphy answered additional questions, social media blew up with rumors that Bishop Gorman coach Tony Sanchez was the leading candidate to replace Hauck, with tens of millions of dollars following him from the Fertitta family. 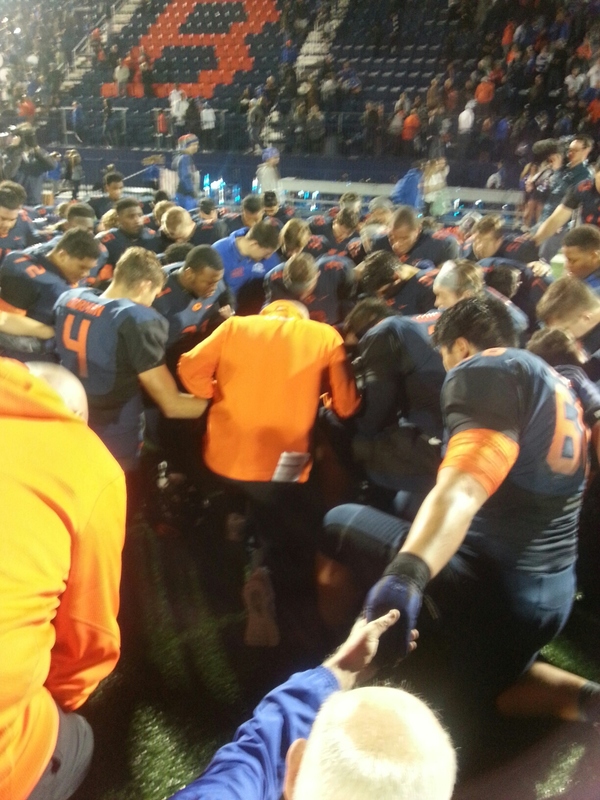 The Fertittas, big backers of Gorman’s athletic program, specifically football, will reportedly pay the$400,000 buyout for Hauck – tweeted first by the Review Journal’s Mark Anderson. As he heads into Saturday’s Battle for the Fremont Cannon, Hauck will be finishing his fifth year at UNLV and 12th overall as a head coach. He was 15-48 with the Rebels, including 11-27 in the Mountain West Conference. Prior to becoming the 10th head coach in UNLV history, he compiled an 80-17 mark at the FCS-level University of Montana from 2003-09. 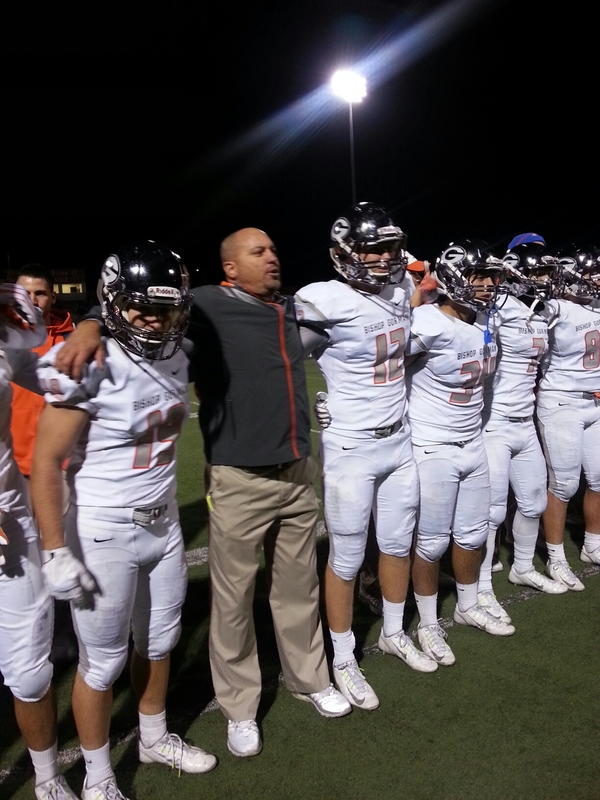 The Rebels go into Saturday’s finale with a record of 2-10 overall and 1-6 in league play. According to several sources, the Fertitta family is willing to inject enough money into UNLV’s program if in fact Sanchez wants the job. The move would make sense, as Lorenzo Fertitta’s son, Nico, is a senior defensive back headed for Notre Dame next season. Sanchez and the Gaels are on the brink of another state title, not to mention capturing the mythical national championship for being ranked No. 1 in several polls. At this point, there might not be much more to achieve at Gorman, as the foundation has been laid for the next era of Gael football. When I spoke with Sanchez last week, for my 1-on-1 interview I released on Thanksgiving, we spoke about his future and what was next for him. He didn’t shy away from the question, but he also didn’t necessarily give me a direct answer. Coy smiles and slight head nods tend to speak in volumes. Well, the possibility is now there, and once the Rebels conclude their season Saturday, and the Gaels wrap up what should be their sixth-straight state championship next week, the opportunity would be waiting. 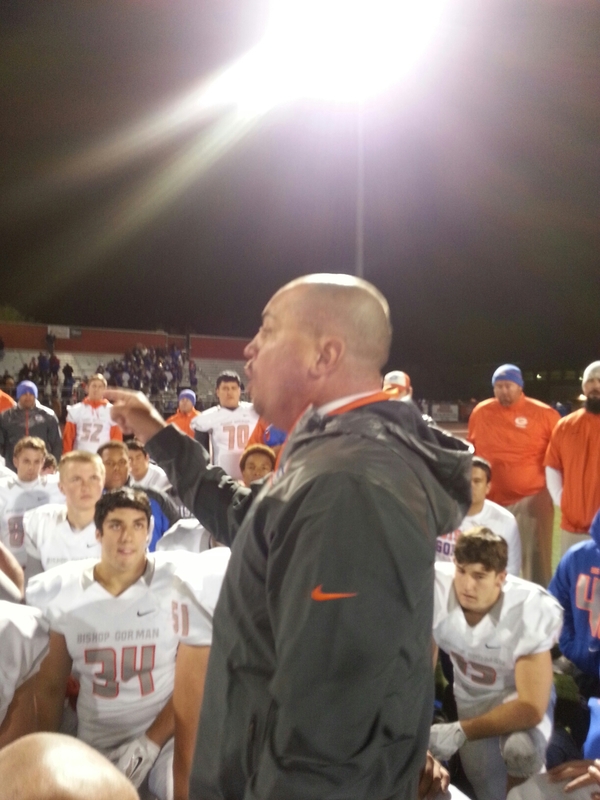 Sanchez, who helped shape Northern California’s California High in a five-year span, would easily have a pipeline to local talent, as the city’s top prep players would obviously be familiar with what he’s done at Gorman. 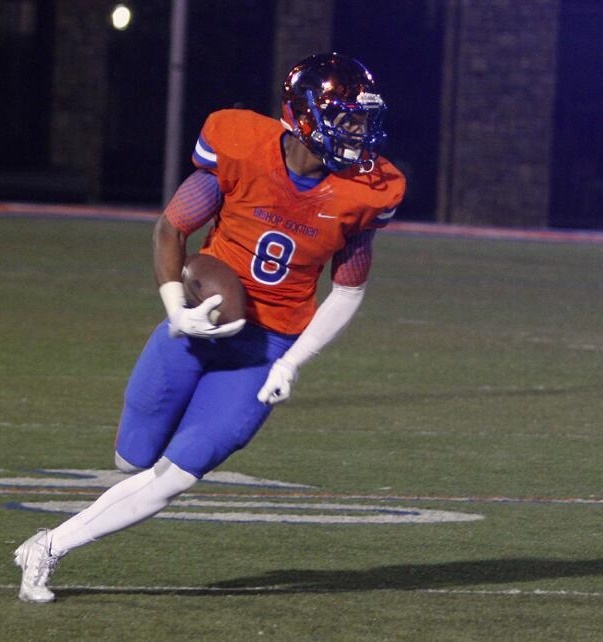 The Gaels have several unsigned seniors – including star running back Russell Booze – and talented underclassmen who undoubtedly would consider following their high school coach if he bolted for the Rebels. “We’re going a million miles an hour (right now),” Sanchez said. “I’m trying to get my kids recruited right now, we’re trying to finish the football season and really, we just really want to finish this thing strong. I don’t take too much time to worry about what’s going to happen later. By the looks of it, Kunzer-Murphy, the Fertittas and the Rebels are waiting just down the road. 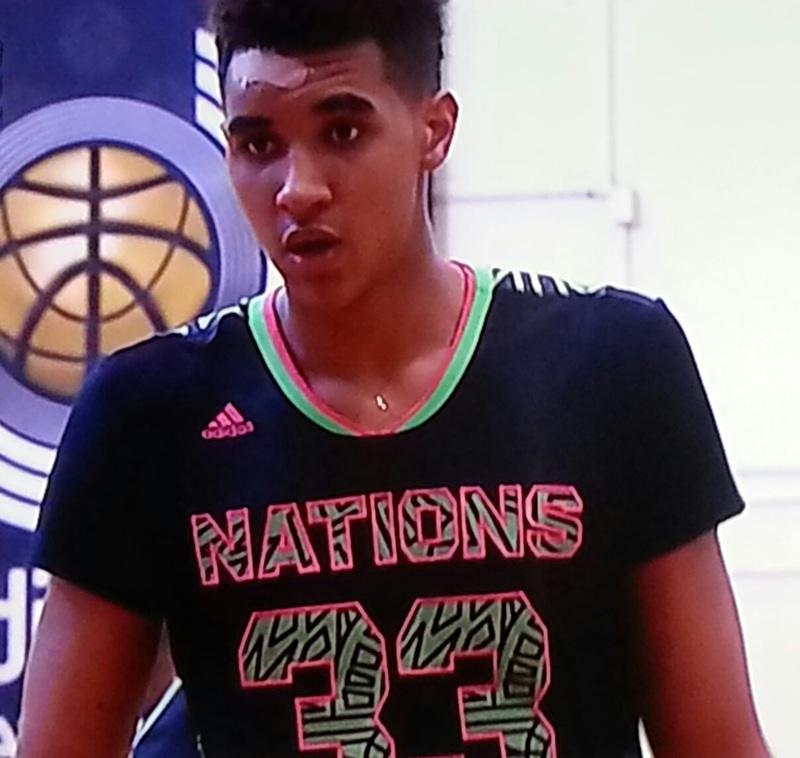 Bishop Gorman’s Chase Jeter Chase Jeter poses for a photo during adidas Nations at Next Level Sports Complex. 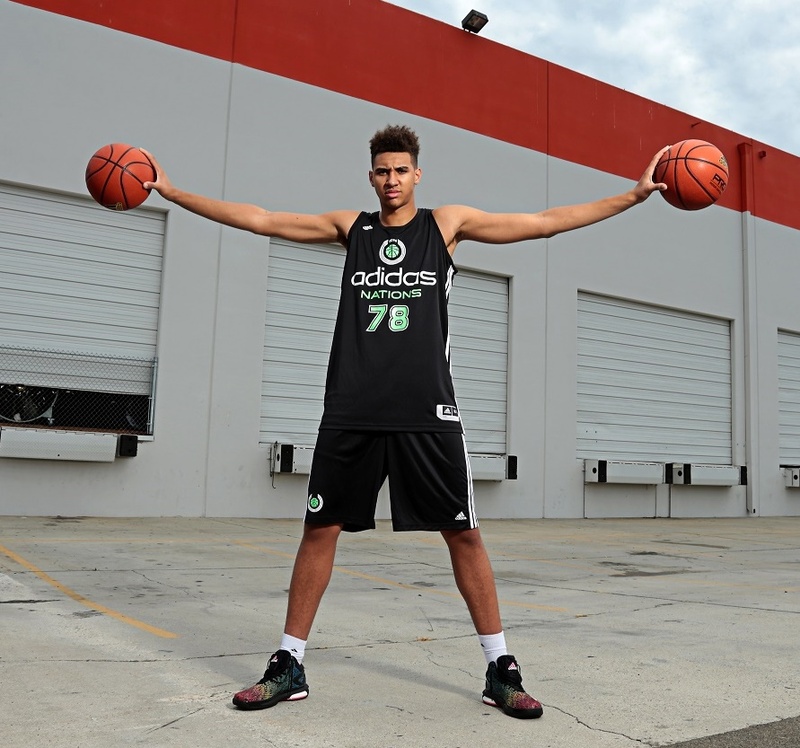 The 7-footer announced he will play at Duke in college. Bishop Gorman’s senior-to-be Chase Jeter announced Monday night he’s headed across the country to play for one of UNLV’s most hated rivals. After posting a double-double (14 points and 16 rebounds) and being named Most Valuable Player in the adidas Nations third place game on ESPNU, the 7-footer told a nationwide audience he was becoming a Duke Blue Devil. The Runnin’ Rebels defeated Duke 103-73 to win the National Championship, and the Blue Devils returned the favor one year later in the Final Four, 79-77, derailing UNLV’s undefeated run and quest for back-to-back titles. Jeter’s father, Chris, played for the Rebels during the championship season. Jeter visited Durham earlier this year, in March, during one of Duke’s annual ACC meetings with rival-North Carolina, which is reportedly listed high on Jeter’s high-school teammate Stephen Zimmerman’s list. Jeter, an all-state selection last year, averaged more than 14 points and 10 rebounds as a junior for the Gaels playing alongside Zimmerman, also considered one of the nation’s top recruits in next year’s class. Jeter chose the Blue Devils over UNLV, UCLA and Arizona. As one of the most sought after recruits in class of 2015, Jeter is ranked among the top 15 in different polls, including No. 8 by Rivals, No. 9 by Scout, No. 10 by 247Sports and No. 13 by ESPN. Krzyzewski was on hand last weekend to see Jeter compete in the adidas Super 64 event at Cashman Center, and attended the championship game, where Jeter’s Dream Vision lost to Indiana Elite.